as well as his electronica duo CAPSULE. Yano, kz(livetune) and Hachioji P.
On Sept. 6, visitors can also enjoy live music from up-and-coming artists from Harajuku. models such as Ema and Eri Tanioku for free! appearances by artistes such as AMIAYA, Hikari Shiina, BPM15Q, PCF and Matsushita. you're lucky, you may be able to catch some of the performing artists singing karaoke! sincerity with our good record 5 million SGD from buying 1800 customers every year. advantage of this opportunity and have an amazing shopping experience! 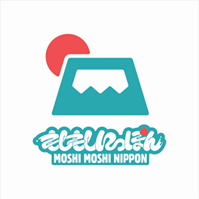 aim to promote Japan's beloved miso soup to the world! merch! There will also be photo sessions with voice actresses Hikari Shina and Anna Yano.